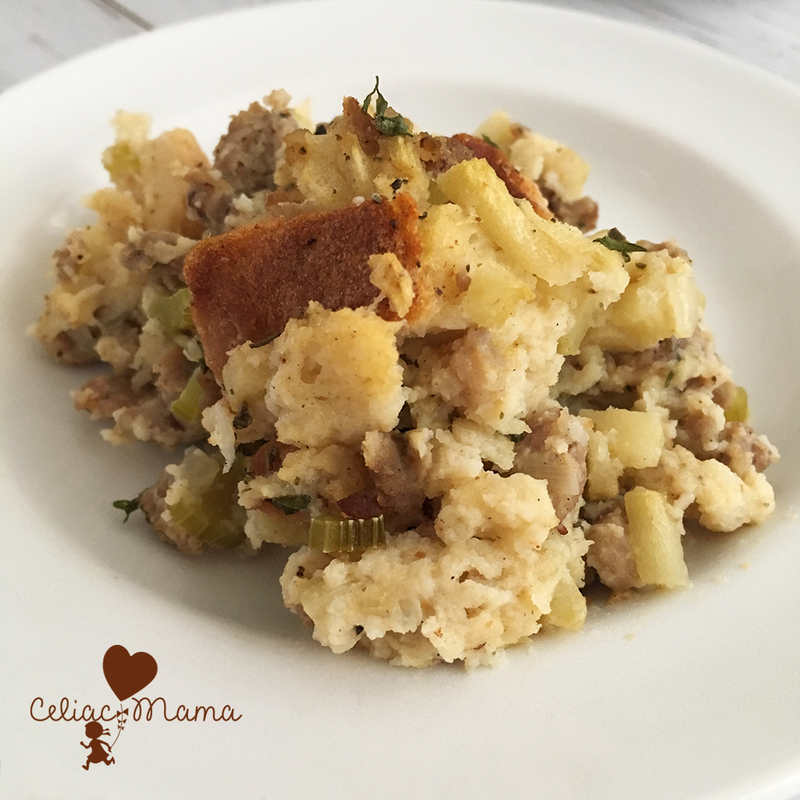 Gluten free apple sausage stuffing brings the delicious Fall flavors of apples to your holiday table. Both are family traditions. 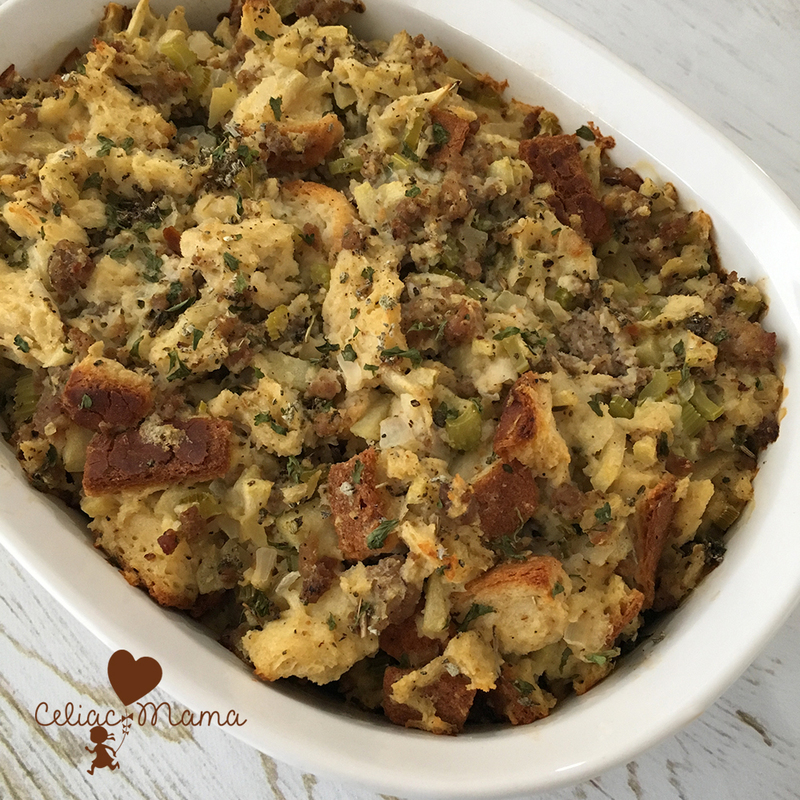 Growing up in my house, we always served my grandmother’s Southern Cornbread Dressing Recipe which I have to post for you all soon. 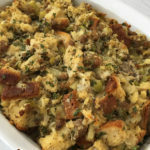 My husband’s family always enjoyed Apple Sausage Stuffing, which was totally new to me and very flavorful in all the right ways. 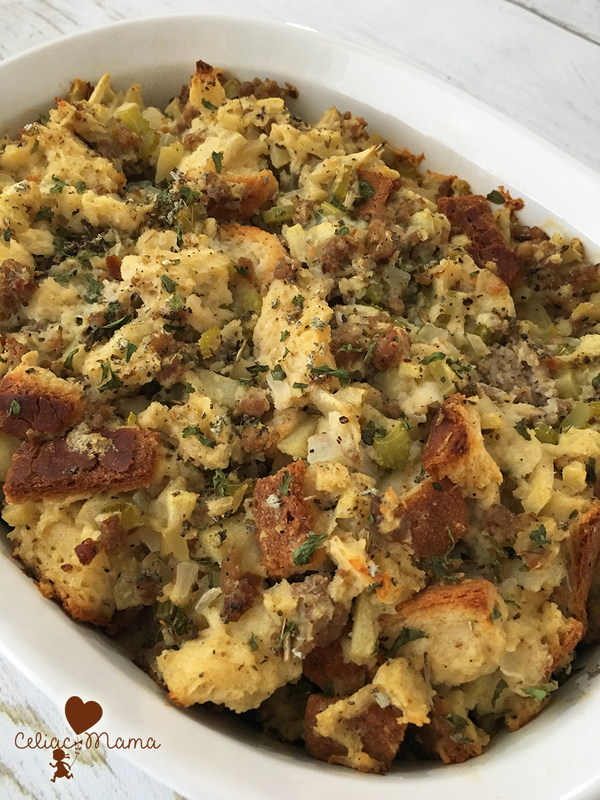 After my daughter’s celiac disease diagnosis, we wanted to turn our family’s traditional holiday foods into versions that we could all enjoy together so with the help of my awesome mother-in-law we tackled her stuffing and made it into Gluten Free Apple Sausage Stuffing. 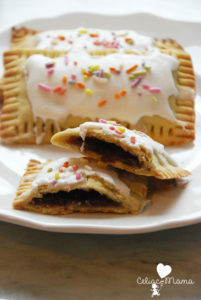 Happily, it came out great and was kid-tested and approved too! 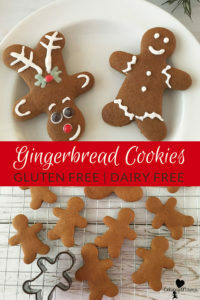 When we first made this recipe last year we used fresh bread from a local gluten free bakery. However, the local bakery near us closed recently so we needed to come up with an alternative. Recently we discovered Canyon Bakehouse’s Heritage Style Honey White gluten free bread and were so impressed. It’s almost twice the size of store bought gluten free breads and it tastes delicious. 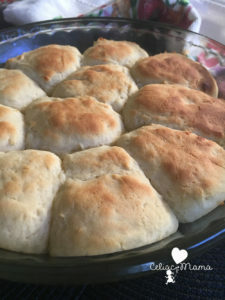 I knew after trying it that the Honey White Heritage Style bread would work perfectly in this recipe, and as you can see from the pictures it did not disappoint. 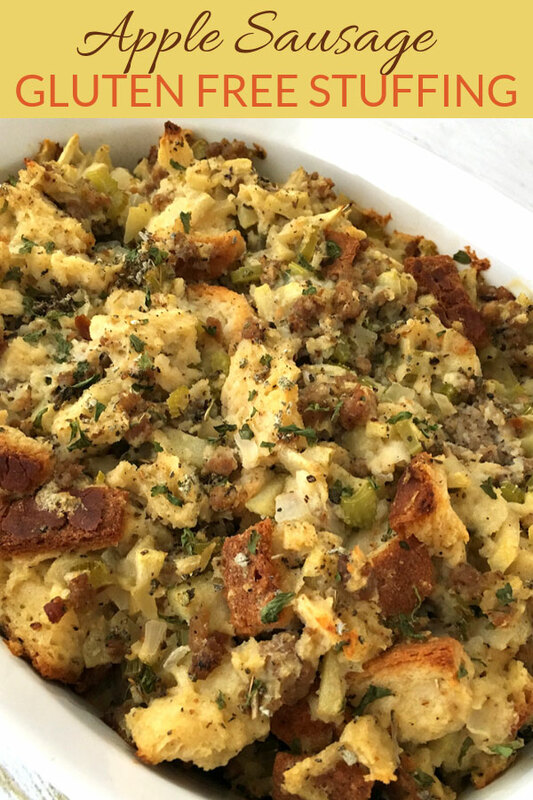 I bring this up because so many people think that you have to bake your own bread or find a fresh gluten free local bakery to make delicious stuffing, and I can now say that’s just not true because Canyon Bakehouse is just as good. 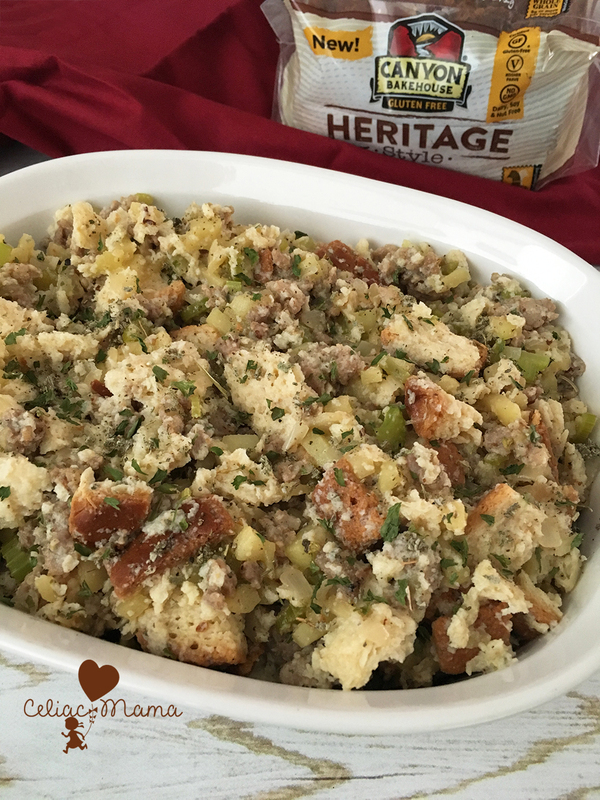 Here is the recipe to one of our family’s favorite holiday side dishes.It really makes a fabulous holiday side dish and I highly recommend trying it with your family. I hope you enjoy it as much as we do. 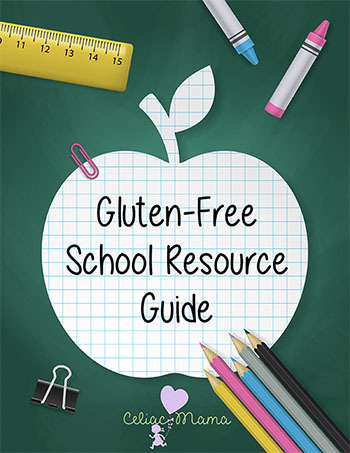 The day before you plan to make this chop your gluten free bread into square chunks and let them sit out overnight on baking sheets to get dry. 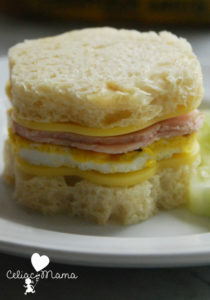 We use classic white gluten free bread and sometimes mix it up by also doing another gluten free bread variety. Cooking day: Preheat oven to 350 degrees. In a large sauce pot over medium heat, cook the sausage until browned, breaking pieces apart with a fork as you go. Remove the sausage with a slotted spoon and transfer into a medium bowl; set aside. Drain the drippings from the sauce pot leaving only 1/4 cup remaining in the pot. 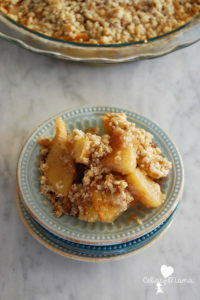 Add the apples, onion, and celery to the sauce pot with remaining drippings and cook until celery is tender, about 10-15 min., stirring occasionally; remove from heat. Stir in reserved sausage and remaining ingredients, mix well. Add 1/2 cup of chicken broth to make it moist. 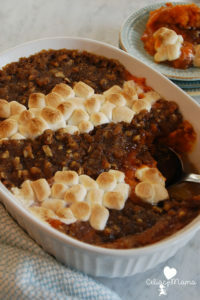 Transfer the mixture into a casserole dish. Bake in the oven covered for 30 minutes, until you can stick a knife in the middle and it comes out hot. Remove the cover and let it cook for 5-15 more minutes to brown the top. 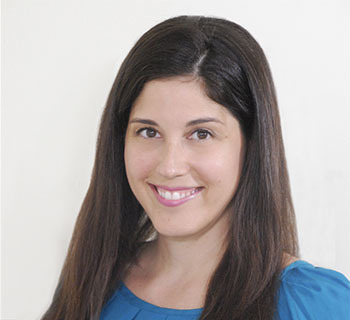 Babyfood Twist: If your little one is too small to eat this level of solid food, take a serving and blend it in a food processor with 1/8 cup of chicken broth. Add more 1/8 cup at a time until you reach the desired consistency.